With reference to your invitation seeking comments and suggestions on matters of the Basel, Rotterdam and Stockholm Conventions ahead of the the eighth meetings of the “Rotterdam Convention on the prior informed consent procedure for certain hazardous chemicals and pesticides in international trade” (RC COP 8), we suggest that a proposal by African countries to amend the Convention merits India support becasue it allows decisions to list hazardous substances to be taken by a 75% majority vote as a last resort, if consensus proves impossible, which will be on the agenda this proposal. We submit that for more than a decade the white chrysotile asbestos industry has refused to allow white chrysotile asbestos to be put on the Rotterdam Convention’s list of hazardous substances although it meets all the Convention’s criteria for listing. Thirty-two scientists from every region of the world, who make up the Convention’s expert scientific committee, have repeatedly recommended that white chrysotile asbestos be put on the Convention’s list of hazardous substances. The right to Prior Informed Consent that the Convention provides has been rendered null and void by a tiny group who profit from asbestos export and the Convention is in crisis. We submit that at the Seventh Conference of the Parties in 2015 (COP7) a special Inter-Sessional Working Group was set up to resolve the crisis of industry interests preventing the Convention from being implemented. Some 33 countries appointed government representatives to be members of this special Inter-Sessional Working Group. It is noteworthy that amost all these countries have named one or two representatives but Russia, the top chrysotile asbestos producer has appointed seven representatives to this special Inter-Sessional Working Group. The report of this Group will be discussed at the 8th Conference of the Parties (COP8) amidst efforts by 15 asbestos lobby organisations including India’s Asbestos Cement Products Manufacturers’ Association (ACPMA), a private body corporate have suceeded in creating the current crisis in the Convention. We submit that it appears that influence of the four asbetsos producers of the world who produced 1,799,700 metric tons of chrysotile asbestos in 2015 (Russia - 1,100,000 tons, Brazil- 310,000 tons, China-210,000 tons and Kazakhstan 179,700 tons) determines whether or not we have the right of Prior Informed Consent as a right or not. In a bizzare situation, it is being argued by that this right exists only if the hazardous white chrysotile asbestos industry allows it to be exercised. We submit that to ensure that it is busness as usual for them they are trying every to keep chrysotile asbestos off the Rotterdam Convention’s list of hazardous substances through unfair and questionable means. They have been misleading the media and asbestos consuming countries by misrepresenting medical and schentific facts. For instance, in April 2016, Mr Yerbol Nurkhozhayev, the CEO of Kostanai Minerals, Kazakhstan was asked: “By the way, I cannot but ask you a safety related question. There is an opinion that the chrysotile is a hazardous substance?” Nurkhozhayev replied: “In 2015, the Parties of Rotterdam Convention arrived at a conclusion that chrysotile is not dangerous for human health, if safety rules and standards are observed. Chrysotile was not included into the list of toxic substances, so the chrysotile industry may further develop both in Kazakhstan and in the world.” Kostanai Minerals of Kazakhstan has been mining the fifth biggest deposit of chrysotile asbestos in the world. It is noteworthy that Russia and Kazakhstan who represent 82% of all asbestos export have been the key suppliers to India. Its a classic case of fibbing wherein false claim is made to effect that the Parties to Rotterdam Convention concluded that chrysotile asbestos is not dangerous for human health. This is a case of fraudulent misrepresentation of officially documented facts by the UN’s Rotterdam Convention Secretariat. With regard to White Chrysotile Asbestos which has been approved by Convention’s Chemical Review Committee (CRC) for listing in the UN List of hazardous substances, we are enclosing the 216 page long signed and notarized affidavit of Prof. (Dr) Arthur Frank dated December 20, 2016 for your consideration. His Commission expires July 28, 2018. His affidavit is consistent with the position of Union Ministry of Health and Family Welfare, Indian Council of Medical Research (ICMR) and National Institute of Occupational Research. It also consistent with position of Union Ministry of Environment, Forests & Climate Change articulated on Independence Day last year. Prof. Frank’s affidavit is consistent with the order of National Institute of Occupational Health (NHRC) as well besides CRC. NHRC passed an order recommending that the asbestos sheets roofing be replaced with roofing made up of some other material that would not be harmful. Prof. Frank’s affidavit is one of the most comprehensive and significant medical and scientific document ever submitted in our country on this subject given the fact that both workers and consumers are at fatal risk from the killer asbestos fibers through the life cycle of the asbestos based products. Prof. Frank is a renowned expert of impeccable record on the subject and has been a regular invitee by reputed medical and public health institutions run by govenment in India for his esteem lectures. Having learnt that Hazardous Substances Management Division (HSMD) is the nodal point for the four International Conventions, we are hopeful that you will be able to adopt a holistic approach to safeguard the public health of present and future generation of Indians. We submit that the affidavit of Prof. Frank is relevant to the Indian delegation because of what is stated in the 105 page long Indian Goverment’s Environmental Impact Assessment Guidance Manual for Asbestos Based Industries. The relevant part of the Manual reads: “All workplaces where asbestos dust may cause a hazard is to be clearly indicated as an asbestos dust exposure area through the use of a well-displayed sign, which identifies the hazard and the associated health effects” for workers’s education. It also states, “Pictorial warning signs and precautionary notices for asbestos and products containing asbestos are to be made” for the protection of consumers from “hazard and the associated health effects.” During the UN meeting from 24 April to 5 May, 2017, these admitted “hazard and the associated health effects” with asbestos manufacturing and asbestos containing products will be the subject of deleberations. We submit that in a written reply Union Minister of Health and Family Welfare informed the Parliament on the subject of Asbestos Related Diseases on February 21, 2014. This reply is most relevant in this regard in the present context as far as Central Government’s position is concerned. We submit that the year of the written reply of Union Minister of Health and Family Welfare is quite significant becasue so far Department of Chemicals and Petrochemicals, Union Ministry of Chemicals and Fertilizers have been relying on an outdated, irrelevant, conflict of interest ridden and questionable ‘Study of Health Hazards / Environmental hazards resulting from use of Chrysotile variety of Asbestos in the country’, carried out by National Institute of Occupational Health (NIOH) [Indian Council of Medical Resarch], Ahmedabad and was co-sponsored by the Ministry. The study is outdated and irrelevant because as per a communication from the Department of Chemicals and Petrochemicals, which is the Designated National Authority for Industrial Chemicals this study was recieved from NIOH on May 18, 2012. The reply of the Union Minister of Health and Family Welfare which proves its irrelevance reads: “The Indian Council of Medical Research (ICMR) has informed that major health hazards of asbestos include cancer of lung, mesothelioma of pleura and peritoneum and specific fibrous disease of lung known as asbestosis. All types of asbestos fibers are responsible for human mortality and morbidity. Studies have been carried out at National Institute of Occupational Research, an Institute of ICMR, Ahmedabad which show that workers when exposed to higher workplace concentration of asbestos fiber have higher incidence of interstitial lung disease and pulmonary function impairment. 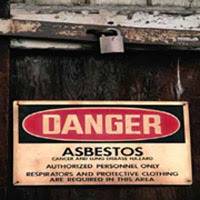 Directorate General Factory Advice Service and Labour Institutes, (DGFASLI) under Ministry of Labour & Employment has intimated data of workers suffering from Asbestosis in factories registered under the Factories Act, 1948.As per the information provided by DGFASLI, it is informed that 21 no. of Asbestosis cases were reported in Gujarat in 2010 and 2 cases in Maharashtra in the year 2012.” It noteowrthy that reply is from the year 2014. We submit that this clearly indicates that the Ministry of Health and Family Welfare which is the parent ministry of NIOH, proves its irrelevance of NIOH’s study of May 2012 because the ministry revisited, reviewed and revised its position rejecting the findings of the study done by NIOH in 2012. As a consequence the findings of the latter date as disclosed in the Parliament prevails. It is evdient that ministry which has jurisdiction over the subject of health is Ministry of Health and Family Welfare and not the Department of Chemicals and Petrochemicals, Union Ministry of Chemicals and Fertilizers, which continues to parrot the discredited and dubious May 2012 study by NIOH. It is significant to that the Union Minister of Health and Family Welfare states that “All types of asbestos fibers are responsible for human mortality and morbidity”, this clearly implies that white chrysotile asbestos is responsible for human mortality and morbidity. 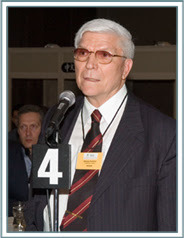 We submit that NIOH’s ‘Study of Health Hazards / Environmental hazards resulting from use of Chrysotile variety of Asbestos in the country’ dated May 2012 was/is questionable because “The study has no scientific credibility,” stated Dr. Philip Landrigan, President of the Collegium Ramazzini and Dean for Global Health, Icahn School of Medicine, Mount Sinai, New York. “It is flawed in the design, methodology and interpretation of the results,” he added. The photos in the study show some workers wearing a cotton scarf tied around their face as their only “safety equipment”. The study also shows workers weaving asbestos cloth. This is one of the most hazardous uses of asbestos. In a Statement calling on the Government of India, scientists had urged the government to withdraw this discredited scientific study on chrysotile (white) asbestos. On an earlier occasion, the information procured using Right to Information Act revealed that terms of referance and the inference of a study conducted by NIOH was dictated by the sponsors of the study. This has been admitted by two union ministers in the Parliament. We submit that Union Minister of State for Environment and Forests informed the Rajya Sabha in a written reply that the study of the health status of the workers and the residents in the vicinity of the asbestos industry by NIOH, Ahmedabad was co-sponsored by the Asbestos Cement Products Manufactures Association (ACPMA). Out of a total of Rs. 59.66 lacs allocated for the study by Ministry of Chemicals and Fertilizers, the Asbestos Cement Products Manufactures Association has contributed Rs. 16 lacs. Union Minister of State for Labour & Employment informed Lok Sabha gave almost the same written reply about the NIOH study. It is this very study in major Asbestos based products manufacturing units located in Kolkata, Silvasa, Vapi and Hyderabad. which was revised in 2012 folliwng expose of it being co-sponsored by Asbestos Cement Products Manufacturers Association (ACPMA). We can safely state that Union Ministry of Chemicals and Fertilizers was caught red handed while acting on behalf of the ACPMA when it approached NIOH to condnduct “A study of health hazards/environmental hazards resulting from the use of chrysotile asbestos in the country.” Following this formal disclosure of this Ministry’s incestous relationship with the ACPMA in Parliament, it would not be surprising if it continues to work for ACPMA disregarding public health concerns. This ministry should be asked explain its questionable condict because it has been institutionaly accountable for co-sponsoring a doctored study and compromising the position of NIOH. In the light of the disclosures in Parliament, the coordinators of this study namely, Dr P K Nag, Dr H N Saiyed and Dr SK Dave owe an explanation to the sceintific community in particular and unsuspecting citizens in general, we demand a high level inquiry by a panel scientists into their conduct while coordinating this questionable study to ascertain as to how such corporate and commercial interests influenced the findings of their study in order to take remedial mesaures which can restore the reputation of NIOH and such scientific institutions. We submit that the position of Ministry of Chemicals & Fertilizers based May 2012 study by NIOH is inconsistent with the reply of the Union Minister of Health and Family Welfare given in a written reply to the Parliament in 2014 and the latter prevails in matters related to public health. The reply reads: “As per the provisions of the Factories Act, 1948 and rules framed thereunder, manufacture, handling and processing of Asbestos and its products is declared as Hazardous Process. Further, Govt. of India has prepared Schedule XIV- ‘’Handling and Processing of Asbestos, Manufacture of any Article or Substance of Asbestos and any other Process of Manufacture or otherwise in which Asbestos is used in any Form’’ as a Dangerous Operation under section 87 of the Factories Act,1948. The Ministry of Mines has informed that the Grant of fresh mining leases and renewal of existing mining leases for Asbestos are presently banned in the country on Health Grounds.” This was stated by the Union Minister for Health and Family Welfare in a reply to the Lok Sabha. We submit that this reply is consistent with the observation of World Health Organisation (WHO) saying, " All types of asbestos cause lung cancer, mesothelioma, cancer of the larynx and ovary, and asbestosis (fibrosis of the lungs). Exposure to asbestos occurs through inhalation of fibres in air in the working environment, ambient air in the vicinity of point sources such as factories handling asbestos, or indoor air in housing and buildings containing friable (crumbly) asbestos materials." It underlines that several thousands of deaths can be attributed to other asbestos-related diseases, as well as to non-occupational exposures to asbestos. As to NIOH study, while one disagrees with the findings of the conflict of interest ridden study conducted by the National Institute of Occupational Health, (NIOH), it is evident that even this study does not state that chrysotile asbestos is not a hazardous chemical. Had NIOH study concluded that Chrysotile Asbestos is not a hazardous chemical it may have become relevant. But even then it would have been legally unsustainable because under Indian laws chrysotile asbestos is a hazardous chemical. We submit that if Ministry of Chemicals & Fertlizers continues to repeat its old position based on May 2012 study by NIOH, it should be asked why has Union Ministry of Mines banned the Grant of fresh mining leases and renewal of existing mining leases for Asbestos (including white chrysotile asbetsos) in the country “on Health Grounds”. It is should be asked how is it those admitted “health grounds” are not relevant for trade in raw white chrysotile asbestos mineral fibers. This Ministry should be asked to refer to the provisions of the Factories Act, 1948 and rules framed thereunder, according to which manufacture, handling and processing of Asbestos and its products is declared as Hazardous Process. 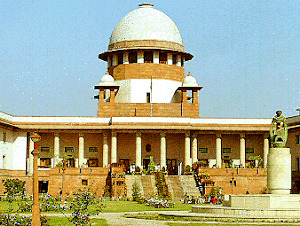 Further, it should be told that Governmenty of India has prepared Schedule XIV- ‘’Handling and Processing of Asbestos, Manufacture of any Article or Substance of Asbestos and any other Process of Manufacture or otherwise in which Asbestos is used in any Form’’ which admits that it is a Hazardous and Dangerous Operation under section 87 of the Factories Act,1948. In such a backdrop, we submit that at paragraph 407 of page no. 211, Prof. Frank’s affidavit reads: “I believe that every occupational, para-occupational, environmental or domestic expsoure contributes to the risk of developing mesthelioma. From a medical and scientific perspective, in a person with mesothelioma, it is my opinion that the cumulative expsoure to asbestos contributes to the total dose of asbestos. The total cumulative expsoure combines to raise the risk of disease and ultimately, in someone with disease, to casue a patient’s mesothelioma. Cumulative expsoure is the scientifically accepted rubric for consideration of exposure levels and causation of mesothelioma and other asbestos related diseases. All of the numerous epidemiological studies cited in this affidavit utilize cumulative expsoure when discussing risk-whether qualitatively or quantitatively. These are my medical and scientific opinions.” This affidavit is consistent with the reply of the Union Minister for Health and Family Welfare which was based on inputs from Indian Council of Medical Research (ICMR). We submit that in the most recent paper titled, Pleuroperitoneal Mesothelioma: A Rare Entity on 18F-FDG PET/CT published in Indian Journal of Nuclear Medicine, authored by researchers from Department of Nuclear Medicine, All India Institute of Medical Sciences (AIIMS), New Delhi and Department of Radiodiagnosis, AIIMS. This paper authored by Dr Shamim Ahmed Shamim et al provides credible information about an asbestos related disease of a 40-year-old-female without any history of occupational asbestos exposure presented with histologically proven malignant pleural mesothelioma. Malignant mesothelioma is a rare tumor that originates from the cells lining the mesothelial surfaces, including the pleura, peritoneum, pericardium, and tunica vaginalis. We submit that an earlier 2009 paper titled Pleural mesothelioma: An unusual case diagnosed on pleural fluid cytology and immunocytochemistry states, “Mesothelioma is a rare neoplasm with relationship to occupational and environmental exposure to asbestos. Its accurate and early diagnosis is often difficult. We present an unusual clinical presentation and diagnostic dilemma in a 30-year-male, who presented with neck pain and diffuse edema of left upper limb. The color Doppler ultrasound revealed venous thrombosis. The right supraclavicular lymph node biopsy revealed a poorly differentiated carcinoma. The patient had mild bilateral pleural effusion, the characteristic cytomorphological features of mesothelioma on fluid cytology were helpful in establishing the diagnosis.” This paper was co-authored by Dr V K Arora et al from the Department of Pathology, AlIMS. It is germane to inform you that we (ToxicsWatch Alliance) got a reply from Shri R N Jindal, Union Ministry of Environment & Forests based on Department of Chemicals and Petrochemicals (DCPC)’s note dated June 18, 2013 on the issue of Government of India’s position on hazardous substance chrysotile asbestos at the Sixth Conference of Parties of (CoP-6) of the Rotterdam Convention on the Prior Informed Consent Procedure for Certain Hazardous Chemicals and Pesticides in International Trade held during April 28-May 10, 2013 in Switzerland. The reply and the note based on NIOH study are attached because it is apparent that the same note is guiding the position of the focal ministry even in 2017. The seven-page long note of the Department of Chemicals and Petrochemicals (DCPC), Union Ministry of Chemicals and Fertilizers on the subject of Chrysotile Asbestos titled ‘Department of Chemicals and Petrochemicals’ View on the use of Chrysotile Asbestos” in the country’ was shared with ToxicsWatch Alliance (TWA) by the Union Ministry of Environment & Forests. We submit that MoEF’s contention based DCPC’s note stating that “On the basis of the said note, the listing of Chrysotile Asbestos under Annex ‘A’ of Rotterdam Convention at CoP-6 during April 28th -May 10th 2013 at Geneva could not be supported” was/is misplaced because even this questionable study did not state that white chrysotile asbestos is non-hazardous. Having carefully read the note of the ‘line department’, i.e. Department of Chemicals and Petrochemicals (DCPC), Union Ministry of Chemicals and Fertilizers on the subject chrysotile asbestos, we submit that the note of the DCPC reveals that it has failed to understand the purpose of the Rotterdam Convention and ignorance about the objective of the Convention. We submit that the note is irrelevant from the point of view of the objective of the Convention for which it was prepared. While one disagrees with the findings of the conflict of interest ridden study conducted by the NIOH, it is evident from the perusal of this 123 page long study that it does not state that chrysotile asbestos is not hazardous. It is also evdient that it did not undertake cumulative assessment of continued exposure to white chrysotile asbestos. Had NIOH study concluded that Chrysotile Asbestos is not a hazardous chemical it may have become relevant. But even then it would have been legally unsustainable because under Indian laws all asbestos including white chrysotile asbestos is hazardous. We strongly disagree with the concluding sentence of the DCPC’s note saying, “In view of the above, India may take a stand in the next CoP meeting of Rotterdam Convention for not inclusion of chrysotile asbestos in Annexure-III of Convention” because it is irrational and logically inconsistent and outdated becasue it based on May 2012 study by NIOH. In any case following the 2014 reply of the Union Health Minister based on inputs from ICMR, it is manifestly irrelevant. We reiterate that the flawed conclusion of the note titled ‘Department of Chemicals and Petrochemicals’ View on the use of Chrysotile Asbestos” in the country’ based on discredited and doctored 2012 study by NIOH is irrelevant and outdated in the aftermath of Union Health Minister’s reply of 2014 based on inputs from ICMR and NIOH. We submit that that there was strong objection at the unethical and immoral act of inclusion of representatives of Asbestos Cement Products Manufacturers’ Association (ACPMA), India in the Provisional list of participants at the Technical workshop on chrysotile asbestos in Geneva, Switzerland in March 2015. An official on condition of anonymity that officials feel humiliated when they have to take orders from likes of ACPMA. We submit our letter to Union Ministry of Environment & Forests (MoEF), on behalf of ToxicsWatch Alliance (TWA) was responded and a clarifications were provided, which revealed that the MoEF was misled by Union Ministry of Chemicals & Fertilizers which in turn was misled by Asbestos Cement Products Manufacturers’ Association (ACPMA), which had funded the questionable study by the NIOH. We submit that ACPMA had overwhelmed and misled the Indian delegation making the Indian delegation ignore the fact that Asbestos is listed as a hazardous substance under Part II of Schedule-I of the Manufacture, Storage and import of Hazardous Chemical Rules, 1989 under the Environment (Protection) Act, 1986 provides the List of Hazardous and Toxic Chemicals. This list has 429 chemicals. Asbestos is at the serial no. 28 in the list. This Rule and the list is available on the website of Union Ministry of Environment & Forests. We submit that had ACPMA not overwhelmed the Indian delegation, the Indian position would have been in keeping with its Inventory of Hazardous Chemicals Import in India that lists ‘asbestos’ at serial no. 26 as one of the 180 hazardous chemicals in international trade which is imported in India. This inventory was prepared by Central Pollution Control Board (CPCB), under Union Ministry of Environment & Forests, Govt. of India prepared in September, 2008 with a foreword September 24, 2008 by Shri J. M. Mauskar, the then Chairman, CPCB and Additional Secretary, Union Ministry of Environment & Forests This was done pursue of Government of India’s “Manufacture, Storage, and Import of Hazardous Chemicals (MSIHC) Rules, 1989” under the Environment (Protection) Act, 1986. According to these Rules, any person responsible for importing hazardous chemicals in India is to provide the data of import to the concerned authorities, as identified in Column 2 of Schedule 5 to the Rules. The CPCB “has been identified as one of such Authorities. In order to study the inventory of Hazardous Chemicals being imported by various categories of industrial units in India, the data provided by these industrial units to the Central Pollution Control Board (CPCB) have been compiled.” It is scandalous as to why did the Indian delegation took a position inconsistent with the Manufacture, Storage, and Import of Hazardous Chemicals (MSIHC) Rules, 1989. We submit that even under Factories Act, 1948, the List of 29 industries involving hazardous processes is given under Section 2 (cb), Schedule First, asbestos is mentioned at serial no. 24. The Act defines "hazardous process" as “any process or activity in relation to an industry specified in the First Schedule where, unless special care is taken, raw materials used therein or the intermediate or finished products, bye-products, wastes or effluents thereof would--(i) cause material impairment to the health of the persons engaged in or connected therewith, or (ii) result in the pollution of the general environment”. This leaves no doubt that asbestos is a hazardous substance. We submit that promoters of white chrysotile asbestos like ACPMA who were planted in the Indian delegation on earlier occasions made the government representatives take a position against human health and the environment and to put profit of the asbestos industry before gnawing public health concerns. 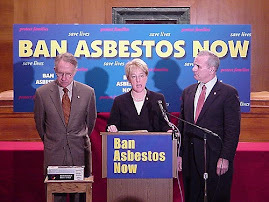 We submit that on June 22, 2011 Indian delegation led by Ms. Mira Mehrishi, Additional Secretary, had supported the listing of Chrysotile asbestos as a hazardous chemical substance at the fifth meeting on Rotterdam Convention amidst standing ovation. TWA had taken the opportunity of congratulating the government but the about turn on later occasions under the corrupting influence ACPMA was a sad let down. We submit that it is reliably learnt that officials and scientists who go to such UN meetings feel humiliated when the industry representatives give them directions instead of the senior government officials or ministers. The UN meet on hazardous chemicals creates a rationale for insulating government officials from undue and motivated industry influence else they will be obliged to act like parrots. The Cabinet Committee on Economic Affairs (CCEA) must factor in the far reaching implications for public health before defending the indefensible hazardous asbestos industry. The day is not far when members of CCEA too will be held liable for their acts of omission and commission as is happening in more than 50 countries that have banned all kinds of asbestos. We submit that global experience underlines that even early industry-funded studies showed a causal relationship between asbestos exposure and cancer. Had this been made known to the public it could have prevented countless deaths but the asbestos industry made the conscious decision to protect their profits instead and choose to keep this information hidden from the public. India’s asbestos industry is following the same path. We submit that the very existence of ACPMA is highly problematic and very dubious. ACPMA which faced charges of cartelization by the Competition Commission of India is registered under The Societies Registration Act, 1860 and it claims to be a non-profit organization. Is the asbestos industry a non-profit organization? They make completely dubious and baseless claims. They have put profit ahead of public health. These associations appear inhuman, cruel and have a deviant behavior. The members of ACPMA all await the fate of Kubota Corporation. We submit that in a related development, on April 2, 2013 in a precedent-setting decision, the Israel's Hon’ble High Court of Justice rejected a petition on against a law placing substantial financial responsibility on a company to clean up asbestos waste. The order observed, “In recent years, countries throughout the world have been required to deal with different dilemmas related to protecting the quality of the environmental. A substantial portion of these dilemmas involve, among other things, legal, economic and ethical considerations. Amongst these dilemmas, the removal of hazardous waste – the matter at the heart of the present appeal – is a subject that demands significant attention. Asbestos, in particular, has proved itself to be efficient and strong, suitable for many uses. However, it has become clear with time that its ability to cause damage immeasurably outweighs its potential benefits. Since the 20th century, different states have dealt with this matter of how to clean up the environment from asbestos, and onthe questions of who to impose the responsibility and who to require to pay for the implementation. Consequently, I have found it appropriate to first turn our perspective on the relevant legal regimes in a few key countries beyond our borders.” It ruled that "To conclude, the survey presented (of various international legal perspectives) indicates various and complimentary components. In all instances it appears a consensus has been established, certainly so with regards to materials hazardous by their very nature such as asbestos, that substantial responsibility is to be imposed on the pollutant." We wish to draw your attention towards the verdict of five judges of Japan’s Supreme Court of February 17, 2015 that has upheld a ruling that found asbestos used at a plant of Kubota Corporation caused fatal mesothelioma in a man who lived near the plant and ordered the company to pay ¥31.9 million in damages to his relatives. The petitioners were relatives of Kojiro Yamauchi, who died at age 80 after working for two decades about 200 meters from the Kubota plant in Amagasaki, Hyogo Prefecture. His relatives and those of Ayako Yasui, who died at age 85 having lived about 1 km from the plant, sought damages from both Kubota and the government. In October, 2014 this Supreme Court ruled that the government was responsible for failing to protect workers from exposure at asbestos factories in Sennan, Osaka Prefecture. It is noteworthy that Japan has banned asbestos of all kinds including white chrysotile asbestos. We submit that three cases of asbestos related diseases i.e. Mesothelioma have been reported from among the workers of employed in the factory of Hyderabad Industries Limited, Sanathnagara, Hyderabad in Andhra Pradesh. These workers have died due to the disease. These workers were: 1) Shri N Chandra Mouli, 2) Shri Sher Khan and 3) Shri Rama Chandraiah. This was revealed in an affidavit filed by Shri T Narayana Reddy, Special Officer Office of Advocate-on-record, Andhra Pradesh Legal Cell, New Delhi in the Hon’ble Supreme Court. This company in question may be asked to file a report on total number of workers employed by it and their health status including a report about the three above mentioned workers. We submit that National Institute of Occupational Health (NIOH), Ahmedabad, Gujarat recommended compensation for two workers employed in Gujarat Composites Limited who were certified to be suffering from asbestosis. This has been revealed in a reply given by Government of Gujarat. A letter of Chief Inspector of Factories, Gujarat State dated December 24, 2002 in the matter of execution of the order of Supreme Court in Writ Petition (Civil) No. 206 of 1986 categorically reveals that two workers of Gujarat Composites Ltd were confirmed for Asbestosis, an incurable lung disease by NIOH. The workers were (1) Shri Hazarilal Manraj and (2) Shri Sahejram B Yadav. The letter recommended compensation of Rs 1 lakh as per the Court order but till date the same has not been given. This and many such cases conclusively establish the hazards from asbestos. Influence of the asbestos industry becomes quite obvious when Government turns a blind eye to such glaring official facts. This is also a clear case of contempt of court by the asbestos based company. It may be noted that Gujarat Composite Ltd (formerly named Digvijay Cement Company) appears to be attempting to hide behind myriad corporate veils by changing names and by outsourcing its work. The official letter demonstrates that white chrysotile asbestos is a hazardous substance which causes asbestos related incurable diseases. The reply of Chandigarh Administration concludes saying, “Hence, use of white asbestos should be completely banned in India also and the same may be replaced by some safe alternative material.” Chandigarh Administration has realized the public health consequences of exposure to fibers of asbestos. We submit that Indian Navy officials have rightly objected to presence of asbestos in aircraft carrier Admiral Gorshkov which was inducted into the Indian Navy as INS Vikramaditya after asbestos decontamination. It is not surprising that Union Ministry of Labour’s concept paper declares, "The Government of India is considering the ban on use of chrysotile asbestos in India to protect the workers and the general population against primary and secondary exposure to Chrysotile form of Asbestos. The Concept paper of the Central Government notes, "Asbestosis is yet another occupational disease of the Lungs which is on an increase under similar circumstances warranting concerted efforts of all stake holders to evolve strategies to curb this menace". We submit that Indian laws include asbestos in the list of hazardous substances but in past the Indian delegation has been misled by the asbestos industry lobby groups like Asbestos Cement Products Manufacturers Association which exercises undue influence to advance its parochial, myopic naked lust for profit at any human cost. As a consequence of their ill influence Indian delegation has been persuaded to take a position which is diametrically opposite of domestic laws. We submit that the upcoming UN meet on hazardous chemicals creates a rationale for insulating government officials from undue and motivated industry influence to ensure that they are not made to act like parrots. In matters like exposure from carcinogenic fibers of asbestos CPCB officials must factor in far reaching implications for public health before defending the indefensible hazardous asbestos industry. The day is not far when officials who are members of the Indian delegation too will be held liable for their acts of omission and commission as is happening in more than 50 countries that have banned all kinds of asbestos. We submit that Hazardous Substances Management Division of Government of India should be wary of people from Asbestos Cement Products Manufacturers’ Association (ACPMA). The representtaives of this corporate association has been undermining India’s stature among the global scientific community for long. We submit that The ACPMA website admits, “ACPMA regularly receives from ICA latest information on various technical, scientific and health related issues connected with the safe use of Chrysotile. All such information is disseminated amongst Members and others connected with the Industry including Govt. regulatory bodies.” Its website refers to a URL saying, “To view the list of members alongwith their office address”. The URL shows 18 members instead of 15. These are A Infrastructure Ltd, Assam Roofing Ltd, Everest Industries Ltd, Hyderabad Ind. Ltd, Jaiprakash Associates Ltd, Sahyadri Industries Ltd, Ramco Industries Ltd, Tamil Nadu Cements Corpn. Ltd, U P Asbestos Ltd, UAL Industries Ltd, ‘Konark Mani Uday’, Visaka Industries Ltd, Sturdy Industries Ltd, Vilson Roofing Products Pvt. Ltd, North East Roofing Ltd, ARL Infratech Ltd, Sri Venkateswara Pipes Ltd, Roofit Industries Ltd and MRK Pipes Ltd. The question which merits attention is how is it that these profit making companies when they become members of the Asbestos Cement Products Manufacturers Association (ACPMA) turn into “a non-profit organization and is registered with the Registrar of Societies under Indian Societies Act 1860”. Essentially, its claim of being a non-profit NGO is factually incorrect in essence. ACPMA undertakes the exercise of defending the profit making enterprises of these hazardous asbestos based companies throughs act of fraudulent misrepresentation. Indian delegation should be wary of them. We submit that the crucial question is can the Indian delegation resist the influence of foreign interests working through ACPMA to ensure that public health interest triumphs over immoral, unethical and myopic commercial considerations of foreign asbestos producers to defend India’s supreme interest. The manufacturers in India can easily shift to non-asbestos materials for manufacturing and some of them have started to move in that direction in South India. We submit that early industry-funded studies showed a causal relationship between asbestos exposure and cancer. 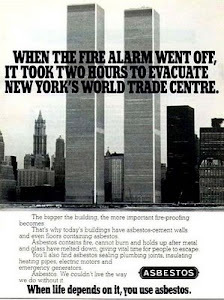 Had this been made known to the public it could have prevented countless deaths but the asbestos industry made the conscious decision to protect their profits instead and choose to keep this information hidden from the public. India’s asbestos industry is following the same path. We submit that Indian delegation should take an independent position without being bullied by countries like Russia, Kazakhstan, Kyrgyzstan, Ukraine, Zimbabwe and Vietnam and support the listing of White Chrysotile Asbestos as a hazardous chemical becasue CPCB’s inventory and other Indian laws mention it as a hazardous chemical. We submit that it is eminently consistent with the principle of Prior Informed Consent for India which imports White Chrysotile Asbestos from countries like Russia, Brazil, Zimbabwe, Kazakhstan and others to receive the information to assess whether it has the ability to safely use this substance or products containing it. The fact remains that the Convention is about prior informed consent about trade in hazardous chemicals and not about banning any hazardous substance. We submit that India should not allow itself to be misled by asbestos producers like Russia and Kazakhstan in this regard now that Canada has rightly stopped mining of white chrysotile asbestos almost like India due its “deleterious” impact on health. We understand that given the fact that the decision with regard to India’s position at the UN meeting is dictated by Department of Chemicals and Petrochemicals, Union Ministry of Chemicals and Fertlizers, we urge you to ensure that the error ridden position articulated with regard to white white chrysotile asbestos at the UN meet in Geneva in past is revisited, reviewed and revised to set matters right. We submit that as per Environmental Impact Assessment Guidance Manual for Asbestos Based Industries, the Terms of Reference (TOR) that is awarded by the Experts Appraisal Committee (EAC), Industrial Project, Union Ministry of Environment & Forests for Chrysotile asbestos based roofing factory asks the project proponent to prepare a “Health Management Plan for Mesothelmia, Lung cancer and Asbestosis related problems in asbestos industries” revealing its hazardous nature. Instead of relying on the wisdom of competent ministries of environment, health and labour, Department of Chemicals and Petrochemicals, Union Ministry of Chemicals and Fertlizers chooses to rely on the questioanble wisdom of ACPMA and seem to reside in their make believe world because of not so inexplicable reasons. We submit that the recommendation to list white chrysotile asbestos to the PIC list can be a remedy for the mistake committed in the past to pave the way for making India free of incurable hazardous asbestos related diseases. While we remain quite alarmed to note that Cabinet Committee on Economic Affairs, Government of India does not include Ministers of Consumer Affairs, Health, Labour, and Environment, we hope that despite such a structural constraint myopic commercial considerations will not triumph over gnawing concerns related to consumers, public health, workers, and environment. We demand that vested interests like ACPMA and conflict of interest ridden experts should not be included in the Indian delegation and it must support its inclusion in the Annexure III of the UN’s Rotterdam Convention in Geneva. We keep our fingers crossed in this conflict between Truth Versus Profit till 5 May, 2017 when the UN meeting concludes. In the light of the disclosures in Parliament, we propose to set up an independent inquiry committee to examine the relationship of officials with the ACPMA and asbestos producing countries after CoP 8. We submit that the affidavit, the manual, the doemstic laws, minister’s replies, papers and their recommendations indicates significant health/environment hazards resulting from the use of all kinds of asbestos including white chrysotile asbestos. These papers are relevant to the recommendation by the UN's Chemical Review Committee for listing in Annex III, wherein the COP has to take a final decision on inclusion of white chrysotile asbestos in Annex III at the COP meeting of Rotterdam Convention. We submit that the following countries have taken cognizance of the hazardous nature of all kinds of asbestos including white chrysotile asbestos: 1) Algeria, 2) Argentina, 3) Australia, 4) Austria, 5) Bahrain, 6) Belgium, 7) Brunei, 8) Bulgaria, 9) Chile, 10) Croatia, 11) Cyprus, 12) Czech Republic, 13) Denmark, 14) Egypt, 15) Estonia, 16) Finland, 17) France, 18) Gabon, 19) Greece, 20) Germany, 21) Gibraltar, 22) Hungary, 23) Honduras, 24) Iceland, 25) Iraq, 26) Ireland, 27) Israel, 28) Italy, 29) Japan, 30) Jordan, 31) Kuwait, 32) Latvia, 33) Luxembourg, 34) Lithuania, 35) Mauritius, 36) Mozambique, 37) Malta, 38) Netherlands, 39) New Caledonia, 40) New Zealand, 41) Norway, 42) Oman, 43) Portugal, 44) Poland, 45) Qatar, 46) Romania, 47) Saudi Arabia, 48) Sweden, 49) Switzerland, 50) Serbia, 51) Seychelles, 52) Slovakia, 53) Slovenia, 54) South Africa, 55) South Korea, 56) Spain, 57) Turkey, 58) Uruguay and 59) United Kingdom. We can learn from them in this regard. In view of the above, we urge you to take cognisance of the findings of Union Health Minister in 2014 and concern of the Union Environment Minister expressed in 2016 besides studies by AIIMS, UN, WHO and the affidavit by Prof. Frank in order to initiate action at CoP 8 of Rotterdam Convention which provides an opportunity to demonstrate that our Government does not put blind profit above public health and it is concerned about the public health of present and future generations. Therefore, we urge you to ensure that India supports the proposed amendment from the twelve African countries represents the only hope of ensuring that the white chrysotile asbestos industry and other hazardous industries do not get the right to cause the demise of the Convention.